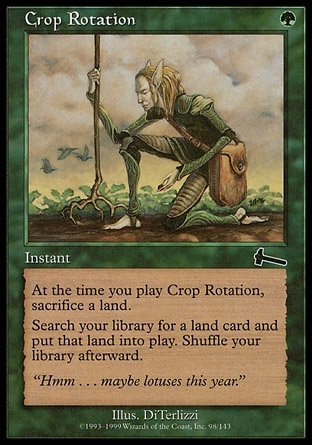 Ability Text: As an additional cost to cast Crop Rotation, sacrifice a land.- Search your library for a land card and put that card onto the battlefield. Then shuffle your library. Flavor Text: Hmm . . . maybe lotuses this year.